Do you ever sit back and think about how much we identify with our hair? The right cut, the right color, covering the gray… Most of our hair complaints can be fixed with a little time in a stylist’s chair. Unfortunately, the one thing that a stylist can’t do is give us more hair or help our hair grow faster. You know what can help with hair growth? Essential oils! Make sure to talk with your doctor if you’re experiencing hair loss, particularly if it’s something new for you – you want to make sure to rule out an underlying medical condition. Once you’ve ruled out a medical condition for slow-growing or thinning hair, give these oils a try; they might just be the ticket for you! Lavender is one of my favorite essential oils because of its versatility (plus, it smells great). Not only does lavender help with stress management (and hair loss from stress is not uncommon), but a 2016 study showed that “lavender oil had a marked hair growth-promoting effect.” Make your own Lavender shampoo with this easy recipe. Learn all about the uses of Lavender here. Aside from the benefit of a minty, tingly boost to wake you up in the morning, peppermint oil was shown in a 2014 study to promote a “significant increase” in hair thickness, hair count, and follicle thickness. Rosemary oil promotes both hair growth and hair thickening, and in a 2015 study, it was shown to be as effective as minoxidil (the active ingredient in hair growth products like Rogaine) in stimulating hair growth with less scalp itching as a side effect. Same results and fewer side effects? Yes, please! Not only does cedarwood likely help with hair growth, it also makes a difference for those who suffer from dandruff. It is both an antifungal and antibacterial, so it fights the bacteria that cause dandruff. Here’s one I like. Lemongrass is another combatant of dandruff (which is great if you’re looking for a natural alternative to pyrithione zinc, the active ingredient in most anti-dandruff shampoos). A 2015 study showed that lemongrass, when applied twice daily, was very effective at fighting dandruff. No dandruff means a healthier scalp, and a healthier scalp means healthier hair production. Try applying once a day, leave on for 10 minutes, then wash hair as normal. Step up to twice a day if needed. Clary sage has linalyl acetate which regulates oil production and reduces inflammation. 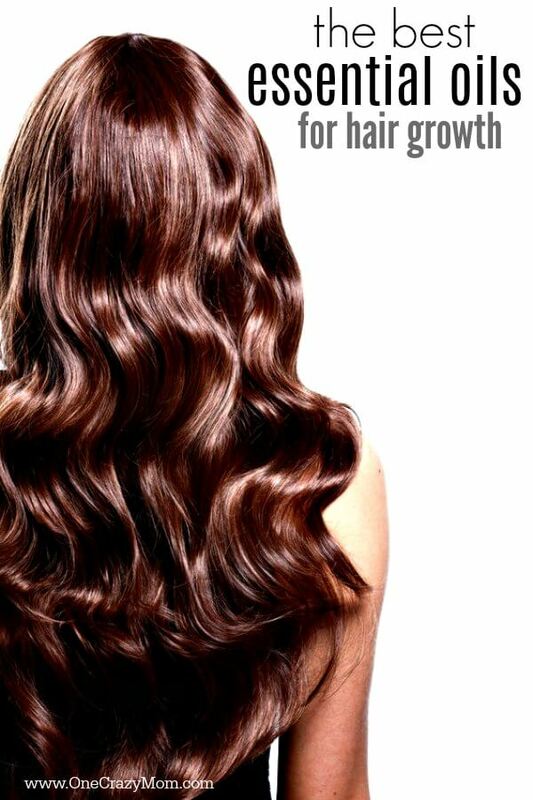 It can help to strengthen your hair, causing less breakage, not to mention increase hair growth. It’s also a great stress-buster. I love, love, love tea tree oil. It’s a wonderful cleanser, and it also is antibacterial and antimicrobial. An adult acne sufferer after having my first child, I couldn’t get it under control until I started using a tea tree oil facial cleanser – it was a total game changer. In one 2013 study, tea tree oil was part of a cocktail with minoxidil that was shown to be more effective in curbing hair loss than the minoxidil alone. One of my favorite product lines is Trader Joe’s Tea Tree Tingle. While the essential oils aren’t as concentrated as they would be if you made a blend to massage directly into your scalp, this shampoo and conditioner have tea tree oil (which also is a lice repellent – bonus if you have school-age kids), peppermint, rosemary, eucalyptus, and thyme. It smells fantastic, has several of the oils that promote hair growth, and is inexpensive. You can always add a few drops of essential oils to increase the efficacy. If you would rather use the essential oils directly, mix a few drops with a carrier oil like jojoba oil and massage into your scalp. Sleep with the oil on your scalp and then shampoo and condition as normal the following day. Don’t lose heart – it may take some time to see results, but use your oil blend a few times a week, and before long, you likely will see healthier, thicker hair! 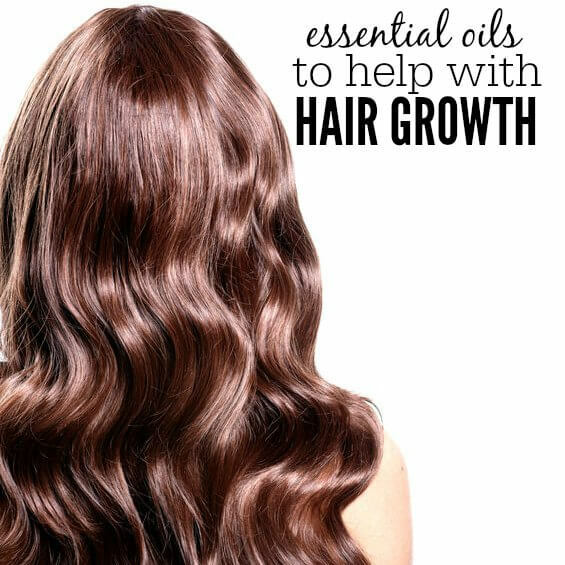 Try these essential oils to help with hair growth. We are trying to use more and more natural products. Give these ideas a try and let us know which ones work for you. Allergies are no walk in the park and we have the Best Essential Oils for Allergies. Try these 6 essential oils for allergies to help you endure allergy season.